The Environmental Health & Safety (EH&S) Office strives to promote a safe and healthful working, learning, and living environment for the campus community. 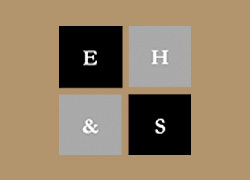 EH&S provides supportive technical consultation, training, investigation, and inspection to ensure compliance with guidelines set forth by federal, state and local laws and regulations. A primary function of EH&S is to provide services that support and enhance the University's efforts in research and education. A comprehensive resource for all EH&S training courses. Keep informed of the current Procedures. Related Resources are listed at the bottom of each page that will give even more information on this topic. Safety is the responsibility of everyone in our campus community. EH&S has developed this Safety Manual to assist us in achieving our safety goals through knowledge of prudent safety practices. Be prepared! Become familiar with what steps to follow BEFORE an emergency strikes.